If you’re in need of quality and affordable Ruud Commercial AC Repair Fort Lauderdale Florida, you’ve come to the right place! Here at Air Conditioning Excellence, Inc., we have over 30 years’ worth of experience in the HVAC industry. We know what it takes to get your air conditioner up-and-running again in no time. After all, having working AC is vital to your businesses’ success. Without cool indoor air, employees and customers will feel uncomfortable (especially during the height of summer!). And expensive equipment can get damaged when exposed to high levels of heat. So if you have an issue you need resolved, go ahead and give us a call at your convenience. If you’re not yet sure whether you need the help of a contractor to provide Ruud commercial AC Repair Fort Lauderdale, you can use the following information, which we’ve put together based on the most common issues business owners confront with air conditioners. Is your AC Low on Refrigerant? Your HVAC unit needs the right amount of refrigerant to work properly. If it has too little, that may be a sign that your air conditioner has a leak. 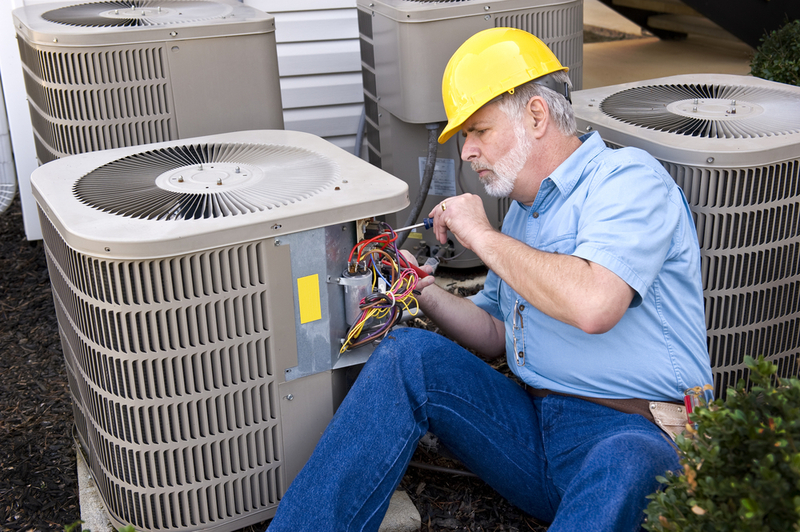 To properly identify a possible leak, give us a call and we’ll send over one of our highly-trained AC experts. 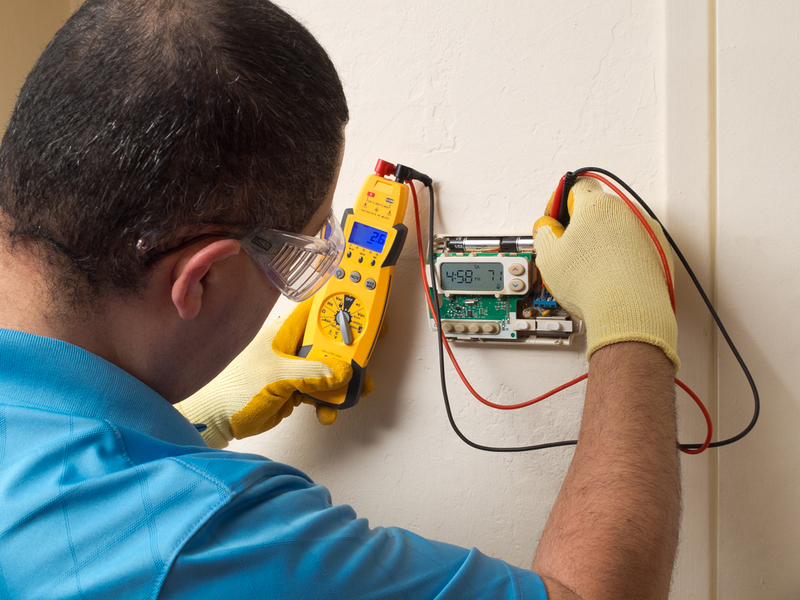 We perform a thorough inspection in order to determine the best course of action. Then, we fix the problem and charge the AC unit back up to its ideal level of refrigerant. We know your business can’t afford to stay without air conditioning for long. That’s why we do our Ruud commercial AC repair Fort Lauderdale in an efficient length of time. Is your Condensate Drain Leaking? All air conditioners produce condensate. It’s just a byproduct of cooling your home. While your AC unit is built to drain-out condensate, damage to the condensate drain can occur. This leads to leaks, which can be dangerous to your health and property. If you begin to suspect the occurrence of condensate leaks, don’t delay calling us for Ruud commercial AC Repair Fort Lauderdale. We want to make sure you and your business are in good shape. Is Your AC Just not Cooling? If your air conditioner isn’t getting the job done when switched on, you might have a malfunction of your unit’s electric controls. These controls are what make your equipment heat and cool according to programming. Often, these issues occur when an air conditioner switches on and off too often–the result of having a unit that’s too big for the given space. We know how to handle these situations. You can count on AC Excellence for the best Ruud commercial AC Repair Fort Lauderdale Florida. If you wind up needing a new air conditioning unit, we can help you buy it at an affordable price. We offer flexible financing plans that let you pay over time. Click here to learn more about our AC Financing! Sometimes, equipment breaks down at the worst of time, like on a weekend or late at night. If this happens to you, you have nothing to worry about. We offer 24-hour service! Day or night, we’re here to help you. For more information regarding Ruud commercial AC repair Fort Lauderdale FL, call Air Conditioning Excellence, Inc. today! (954) 368-0655. Share the post "Ruud Commercial AC Repair Fort Lauderdale FL"